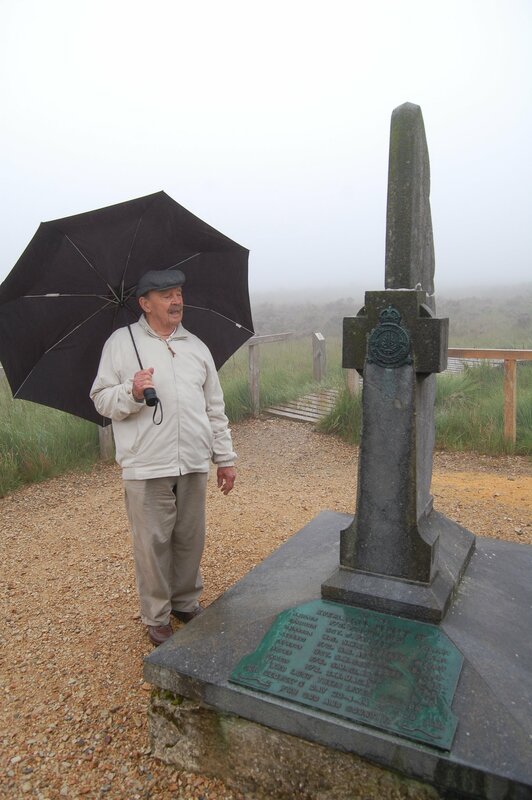 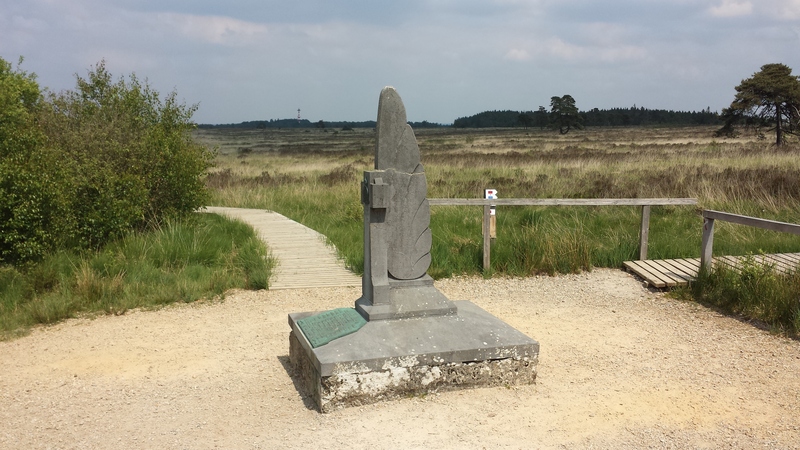 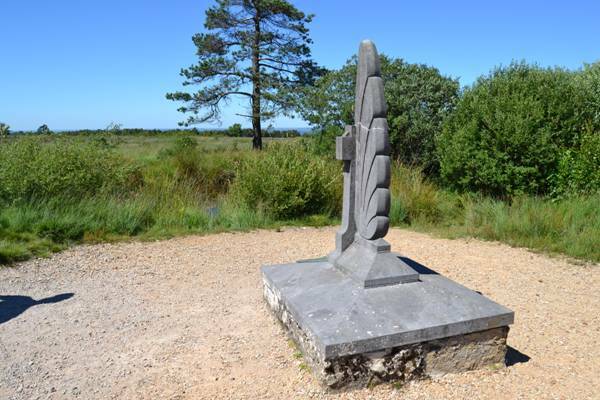 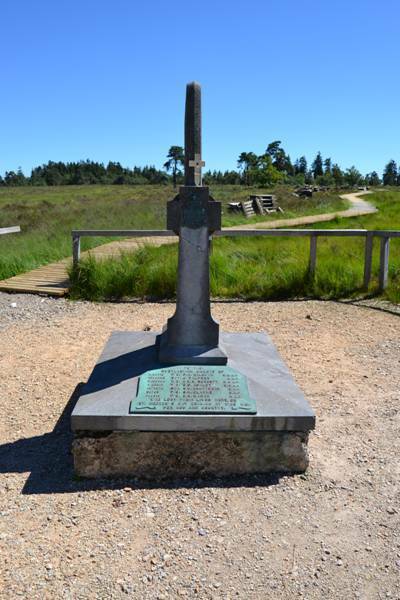 The Milburn family visited the Berinzenne monument in 2011 - in the case of F/O P Milburn's twin brother 60 years after first visting the monument. 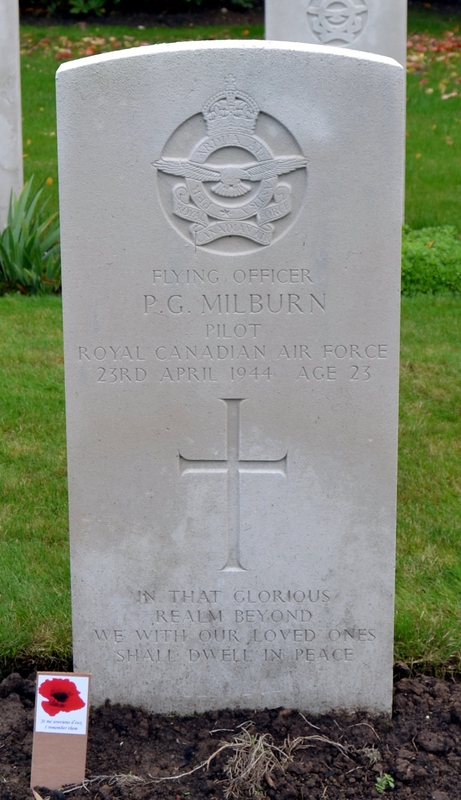 See also the 550 Association Facebook page and a few more photos on the milburn blog. 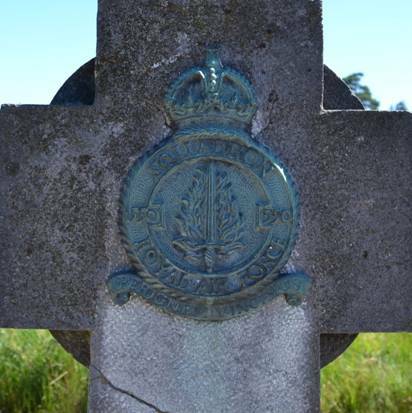 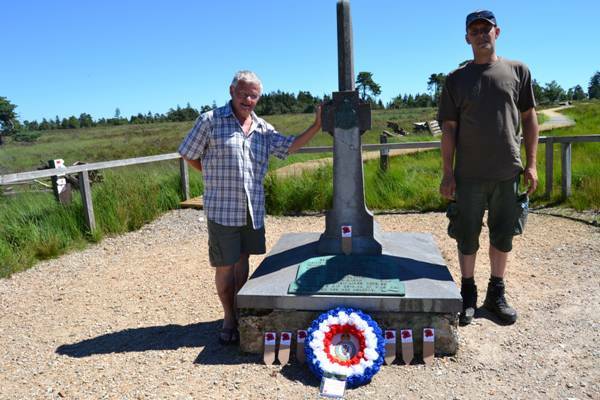 In July 2013 members of the Rebecq Association visited the memorial to lay a 550 Association wreath. 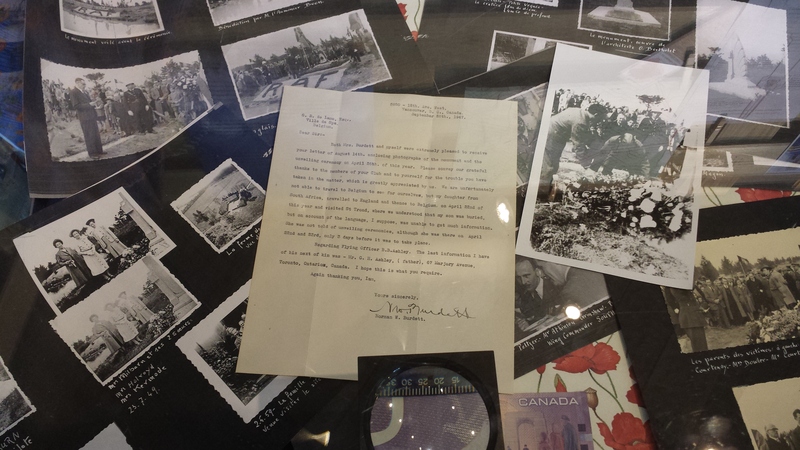 Some photographs from their visit are shown below. 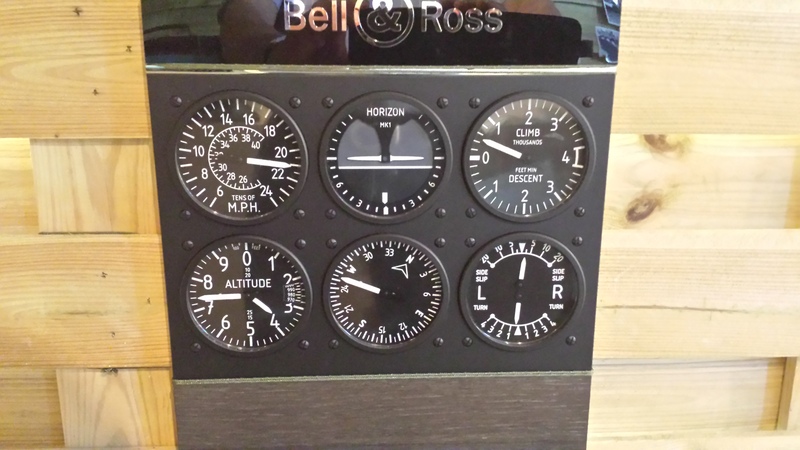 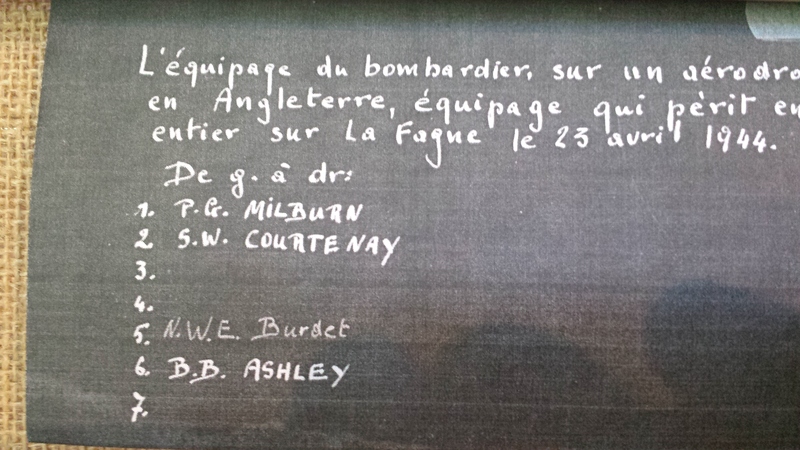 Thanks to Wilfred Burie for making the photographs available. 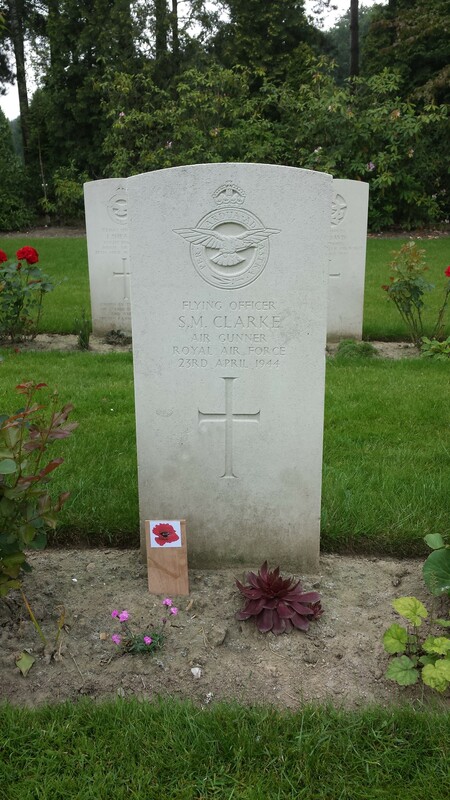 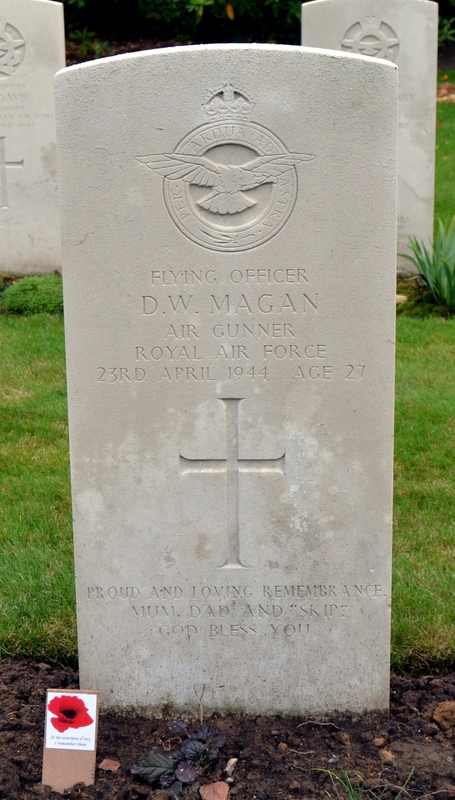 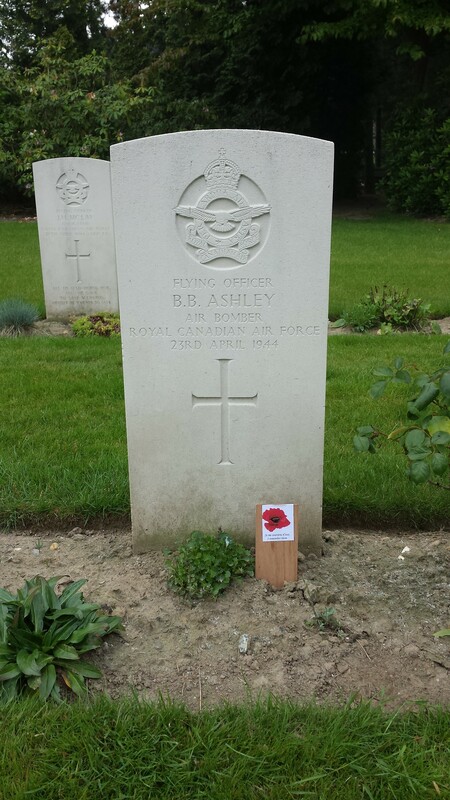 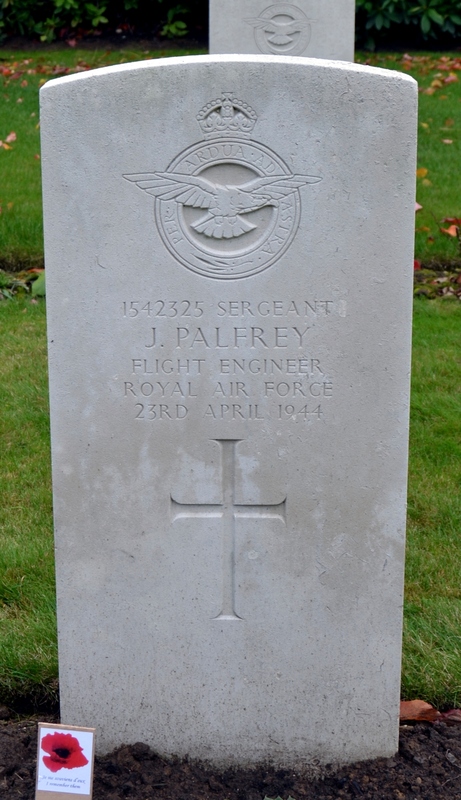 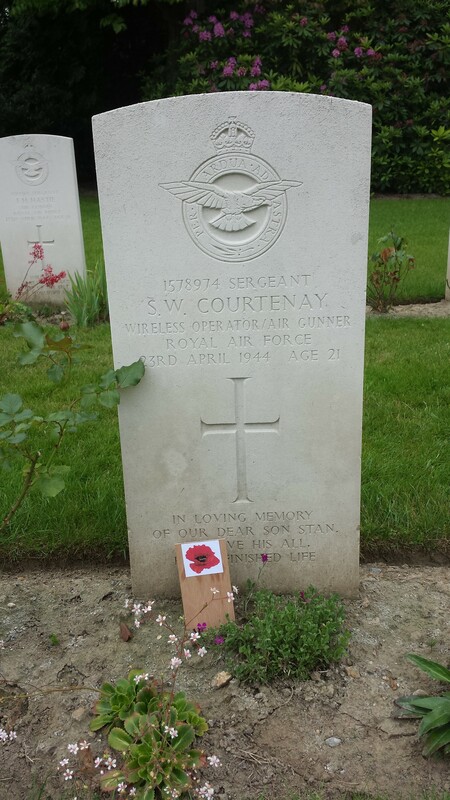 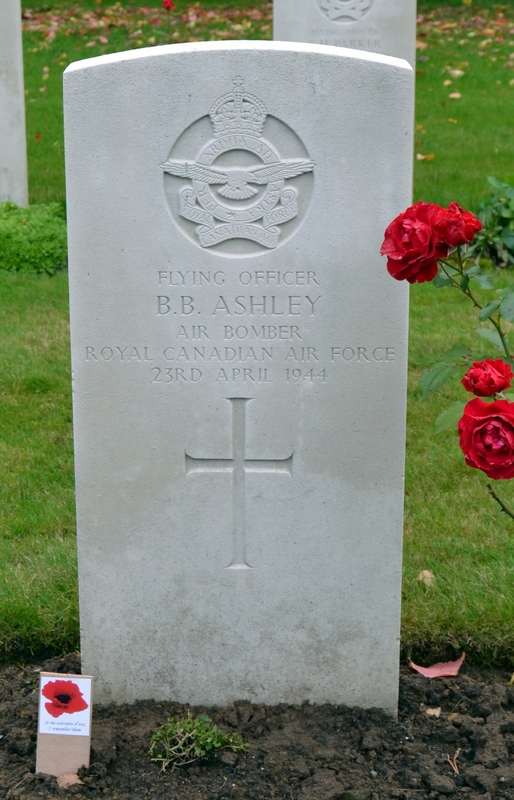 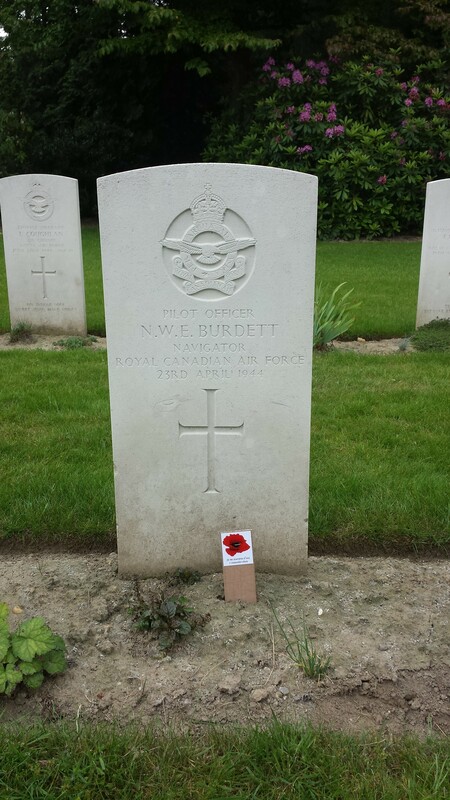 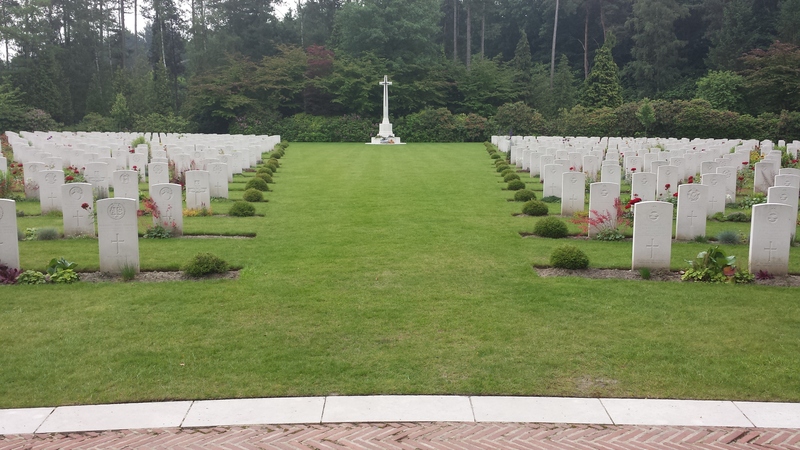 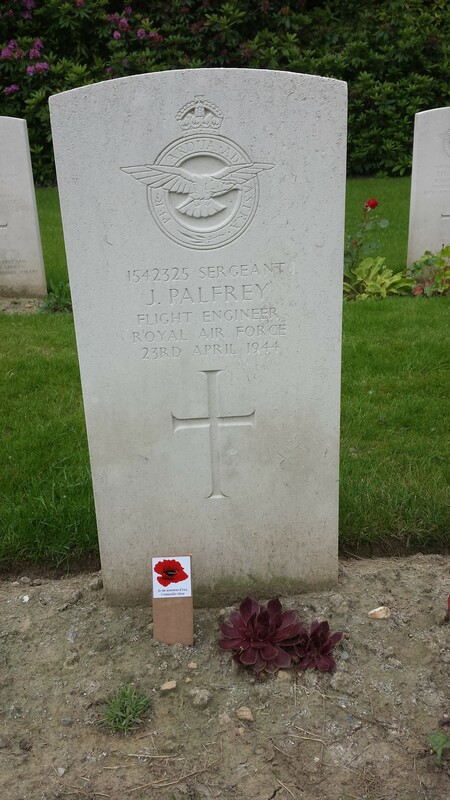 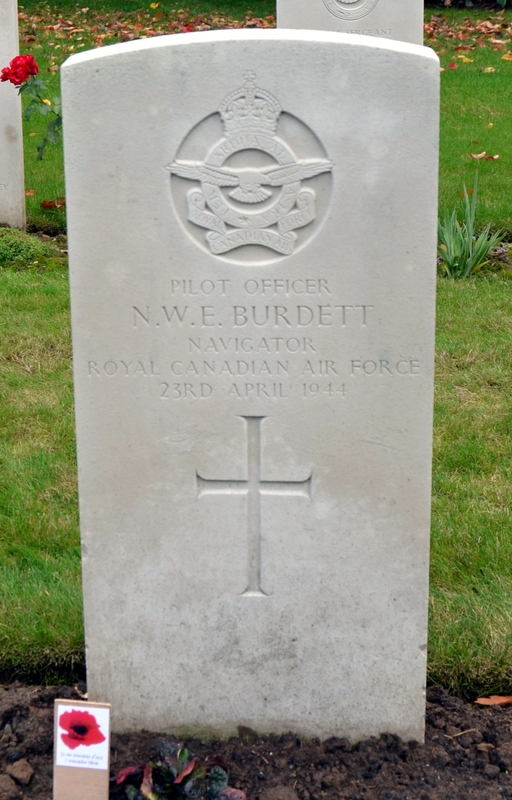 Into October 2013 members of the Rebecq Association visited the 550 crew's graves in Heverlee British Military Cemetery to lay a 550 Association wreath and crosses in memory of the crewmen who were killed in the crash. 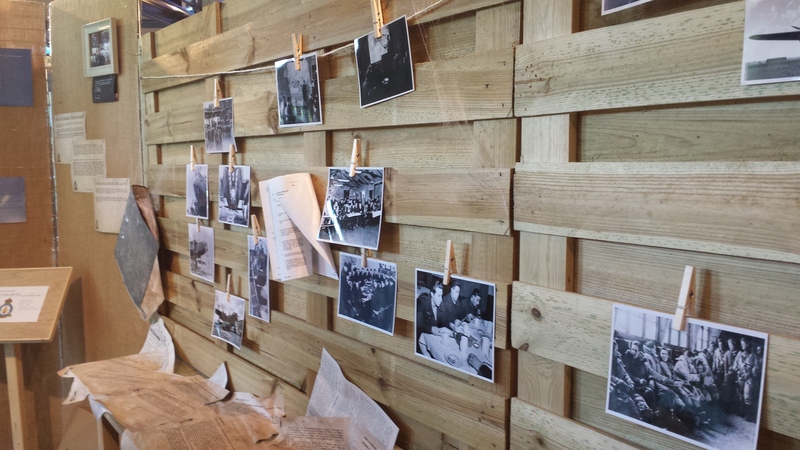 Some photographs from their visit are shown below. 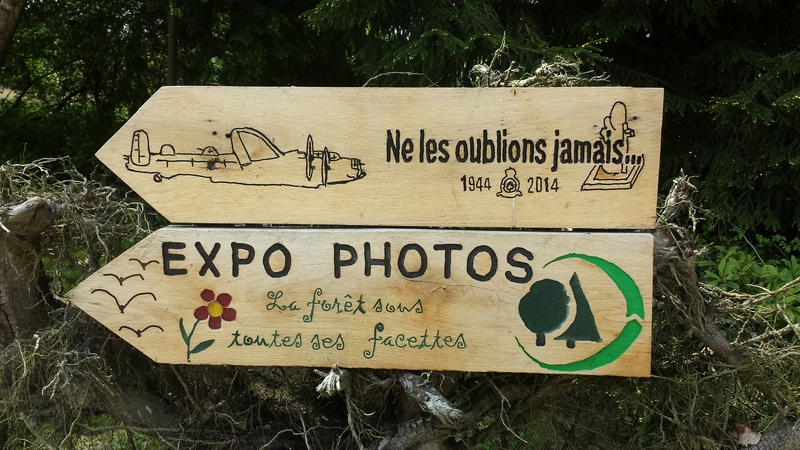 Thanks to Wilfred Burie for making the photographs available. 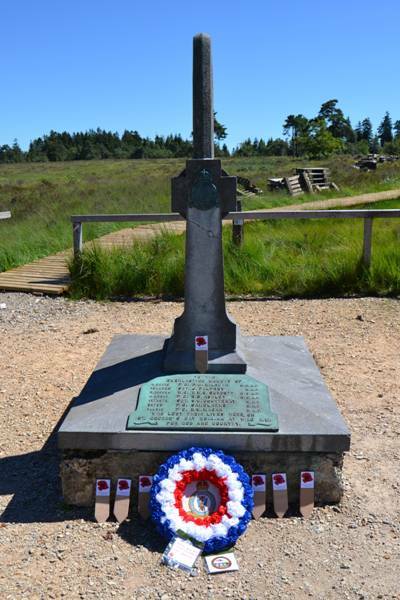 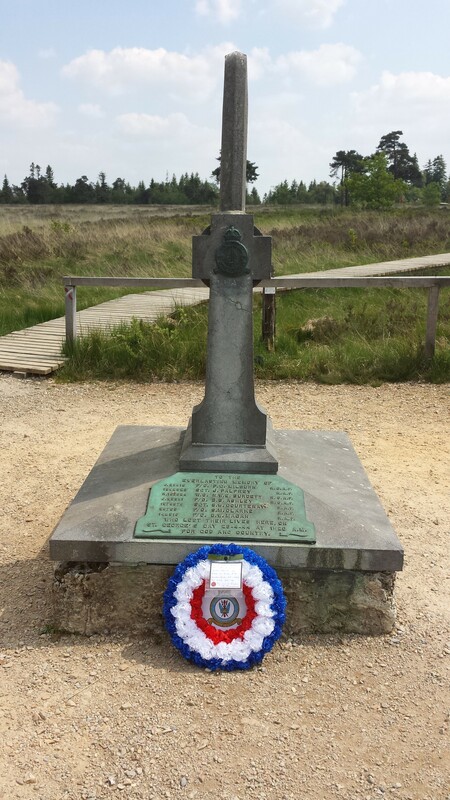 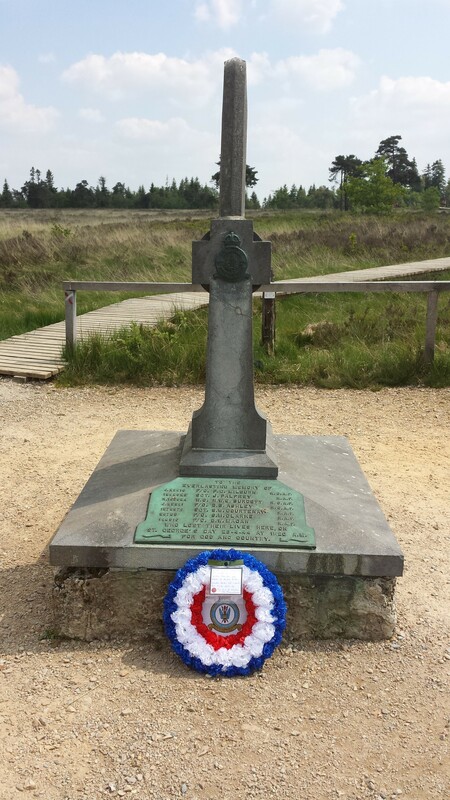 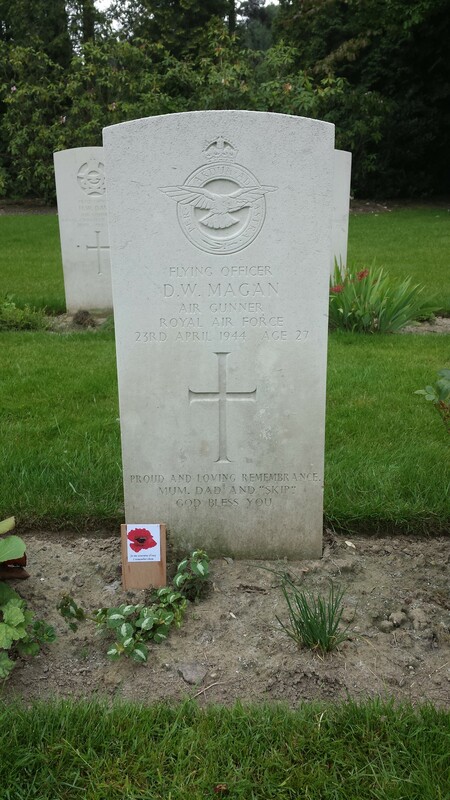 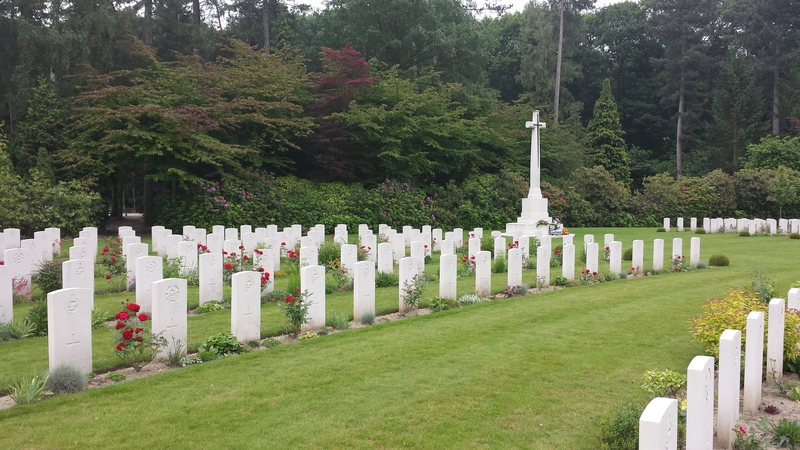 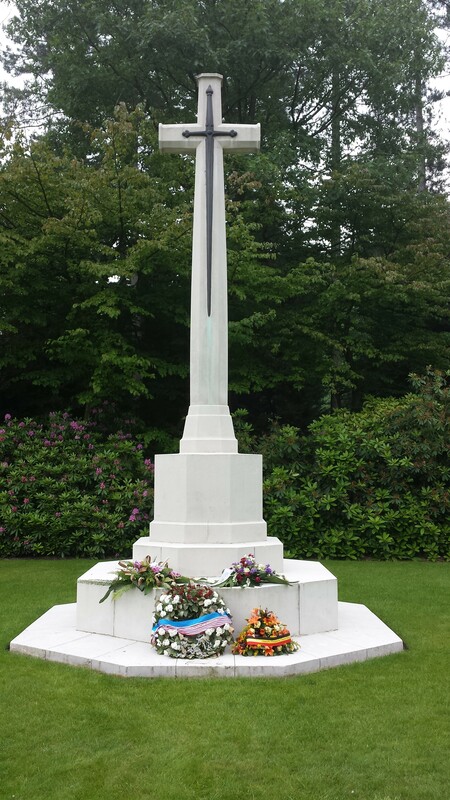 In June 2014 the Squadron Association visited the Berinzenne Memorial in order to lay a wreath for the Milburn crew. 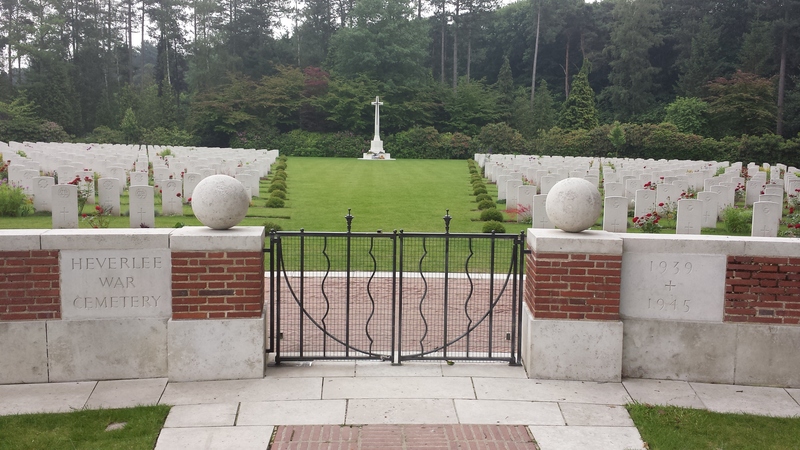 A visit was also made to the Heverlee War Memorial in order to places crosses on the graves of the crew-men resting there. 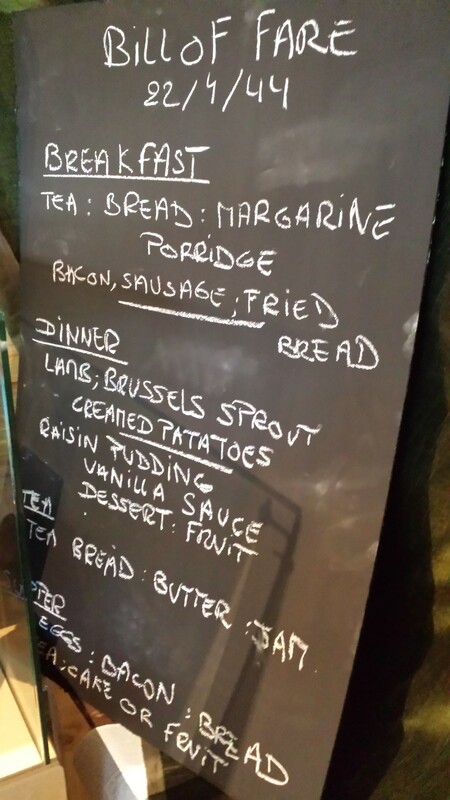 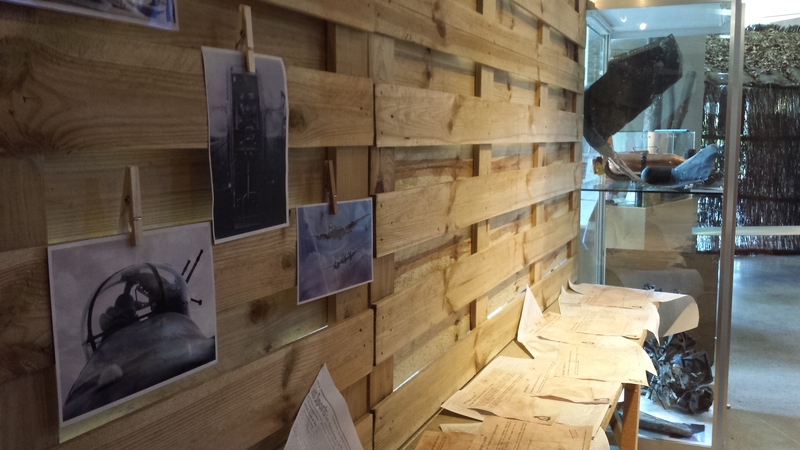 Some photographs from the visits are shown below. 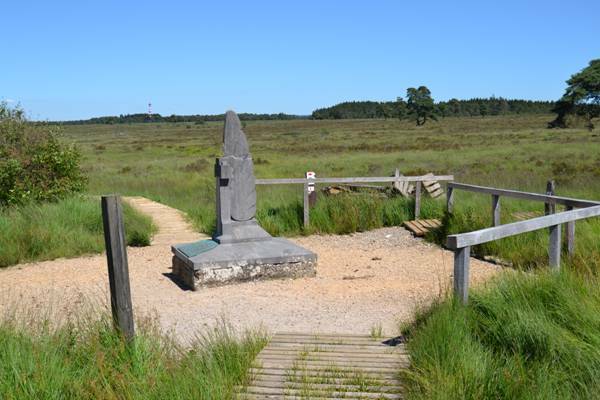 See also the tribute on the : Berinzenne (Rebecq memorial) web-page. 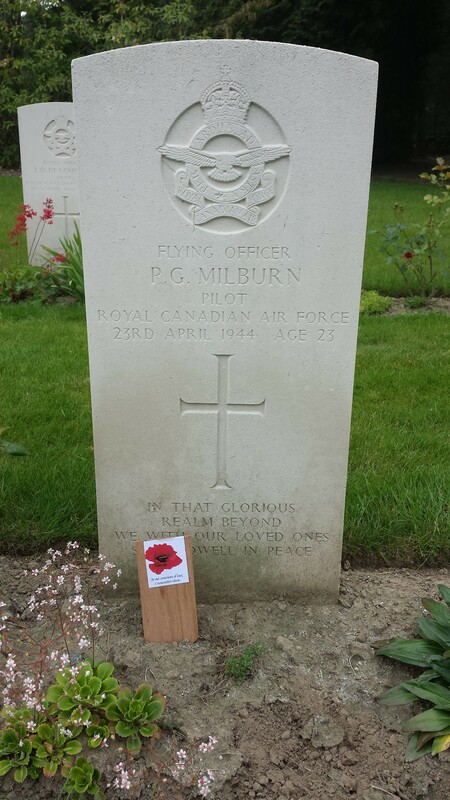 A wreath was laid on behalf of the RAF 550 Squadron and North Killingholme Association for the Milburn crew. 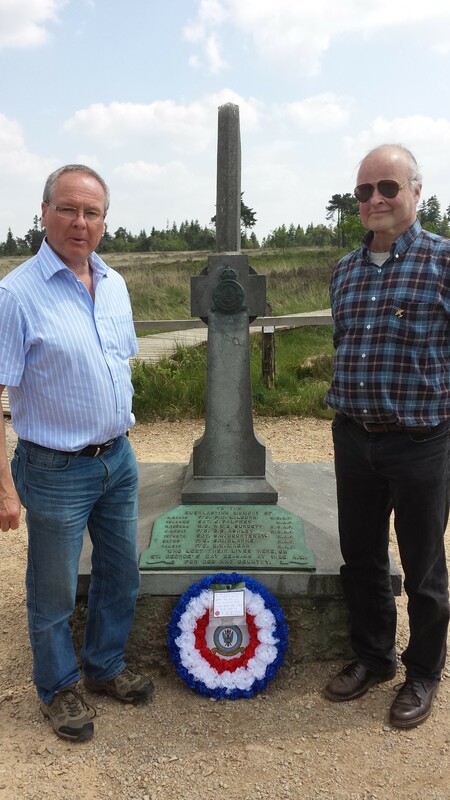 Eric Moureau and his son Jeremy guided us to the memorial site as well as taking us through the exhibition in the museum (photos below) detailing the research into the crash and the activities in 1947-1949 that surrounded the erection of the memorial. 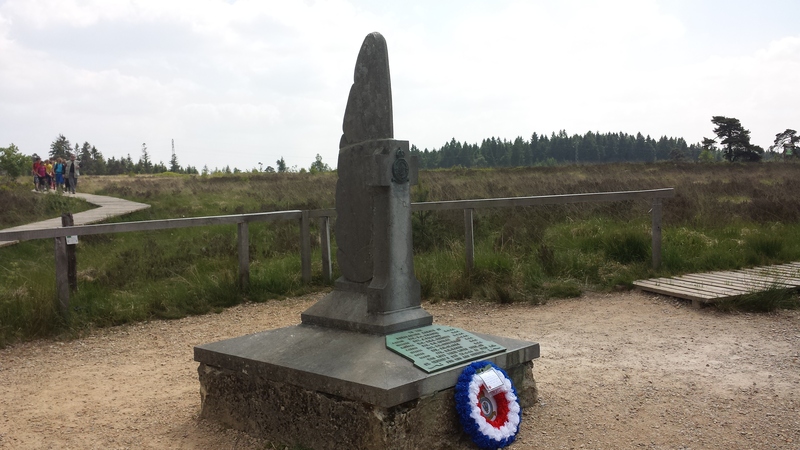 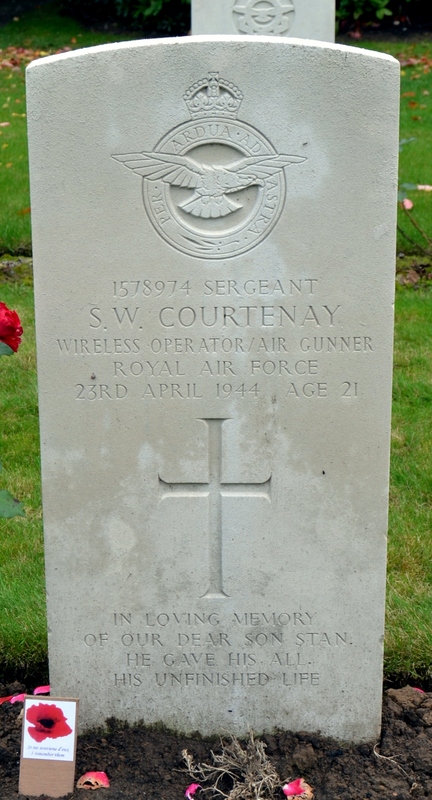 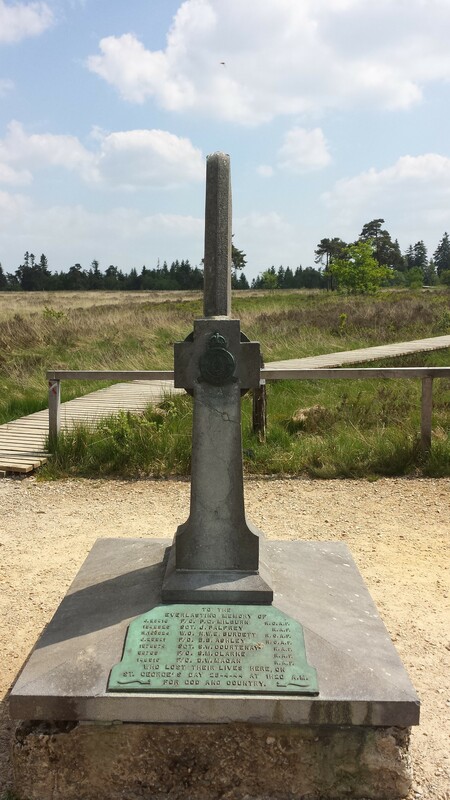 The monument faces out on to a crater, which was created by the aircraft on impact. 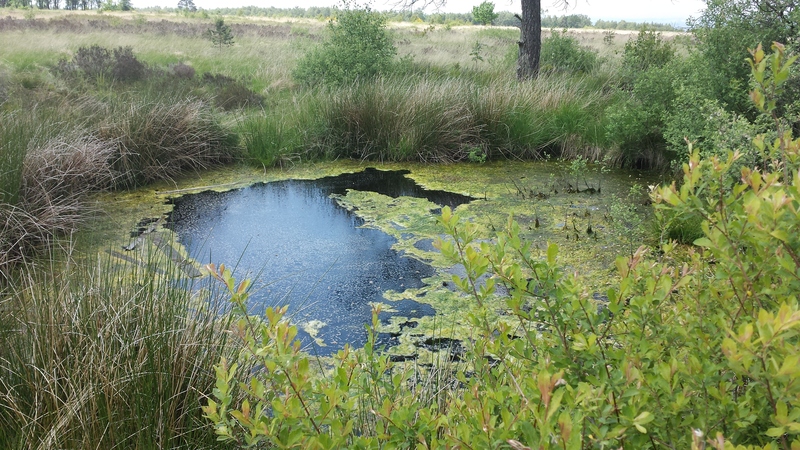 Being a fen the crater is now water-filled. 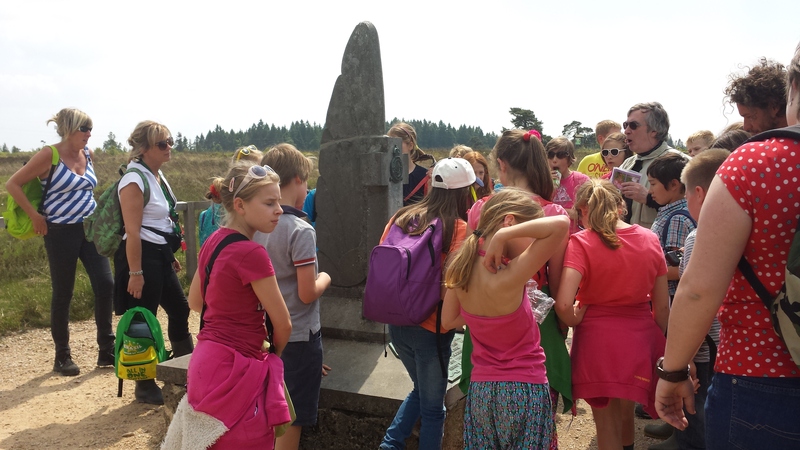 While we visited the monument a party of children on a school visit to the fen stopped by the momument and were told of why it was there and who it commemoriated. 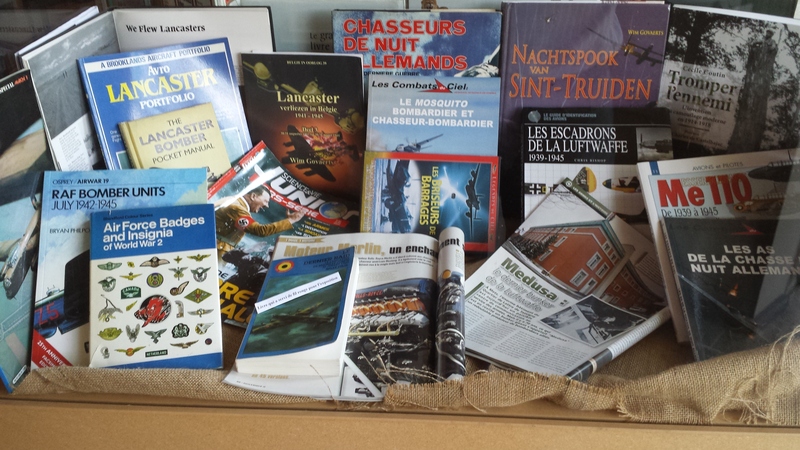 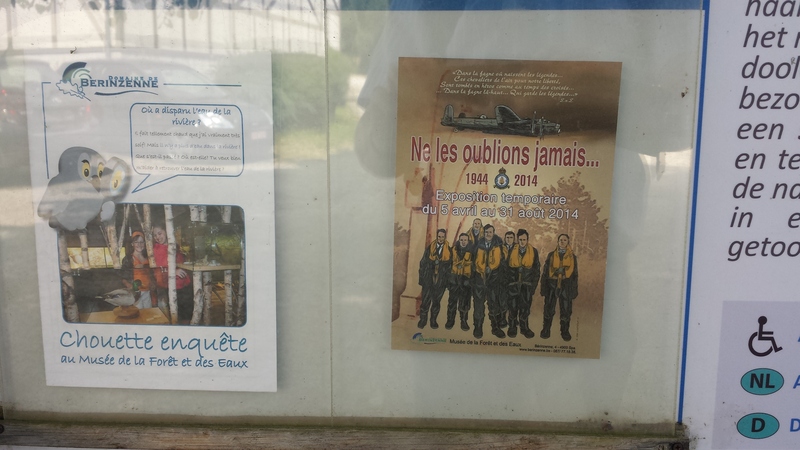 "Never Forget", an Exhibition (runing from April 14th to August 31st 2014) in memory of F/O Milburn and the crew of ME581, is on display in the Musée de la Forêt et des Eaux, à Berinzenne (Spa). 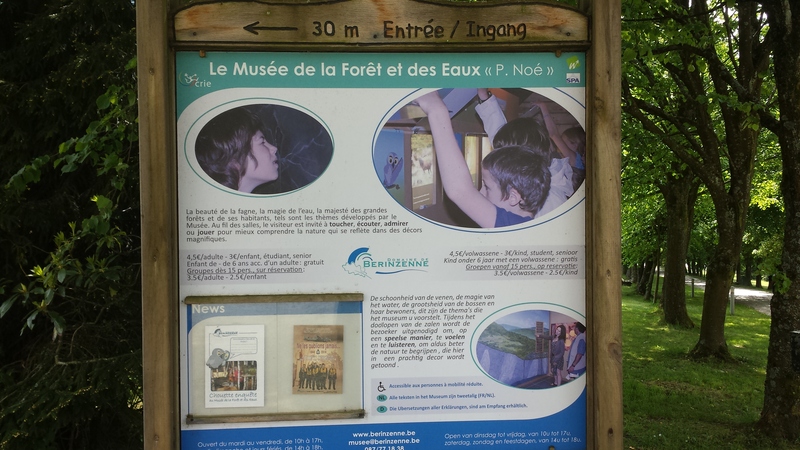 The exhibition has been researched, and is presented, by Eric Moureau. 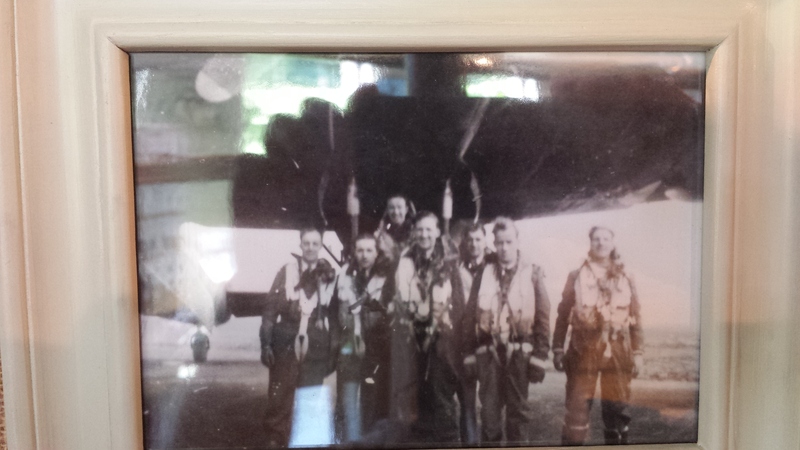 A photograph of the crew; sadly it has not been possible to put names to faces for all the crew members. 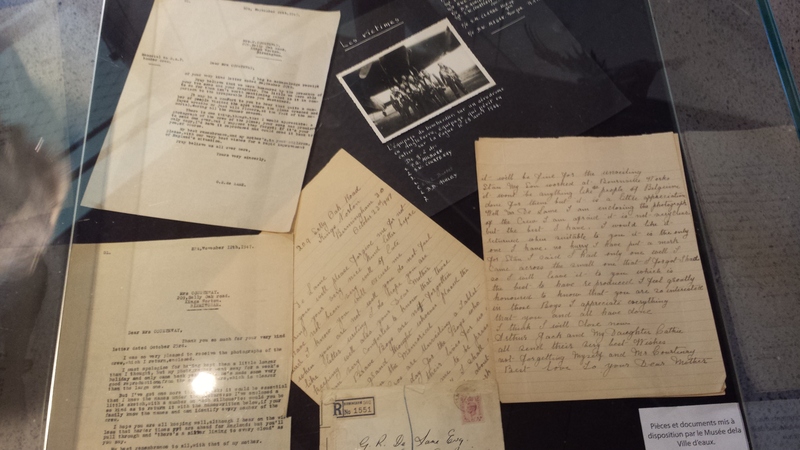 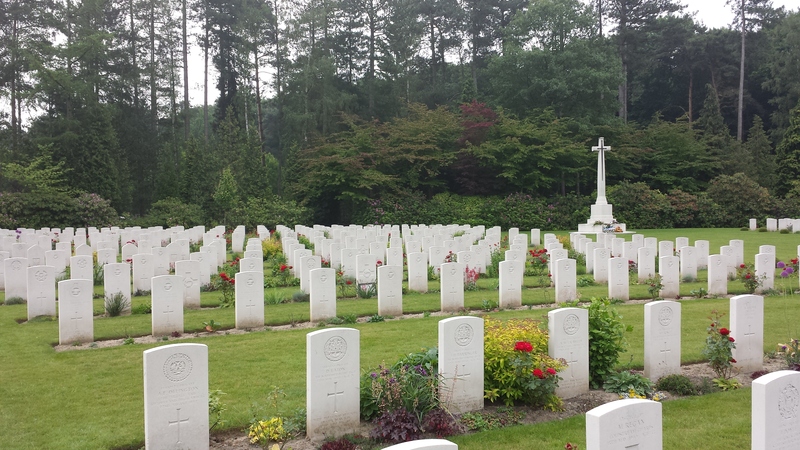 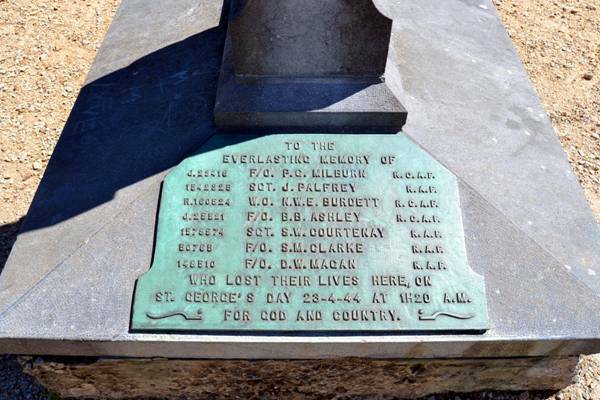 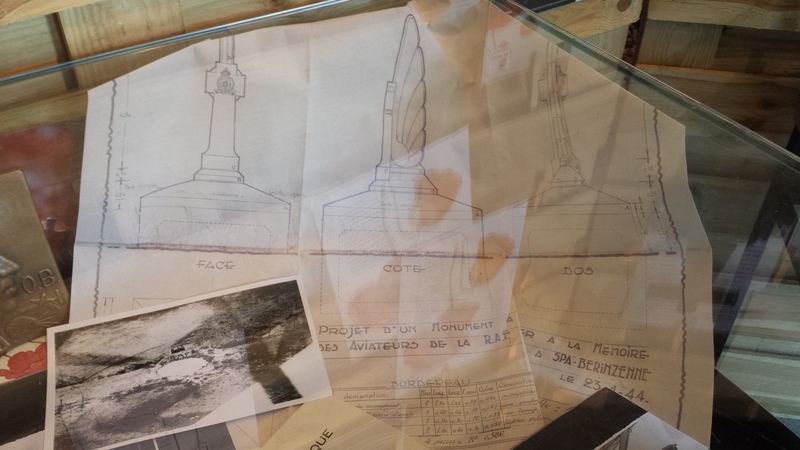 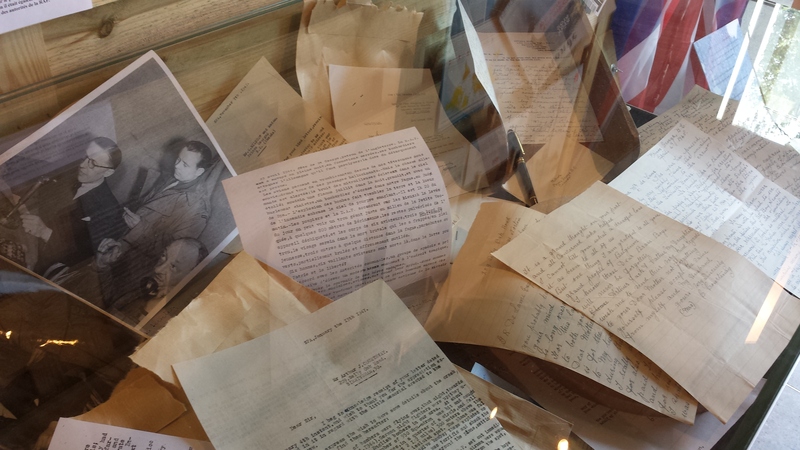 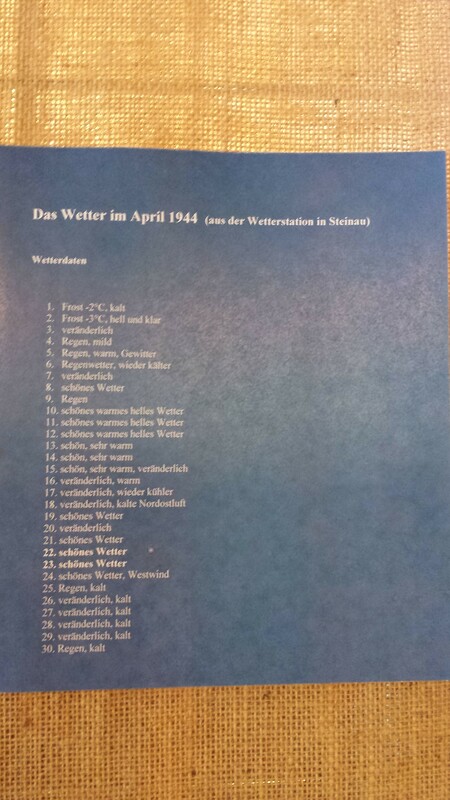 Letters and correspondance in the late 1940's from the families in Canada and the local Belgian authorities as the plans for the raising of a monument unfolded. 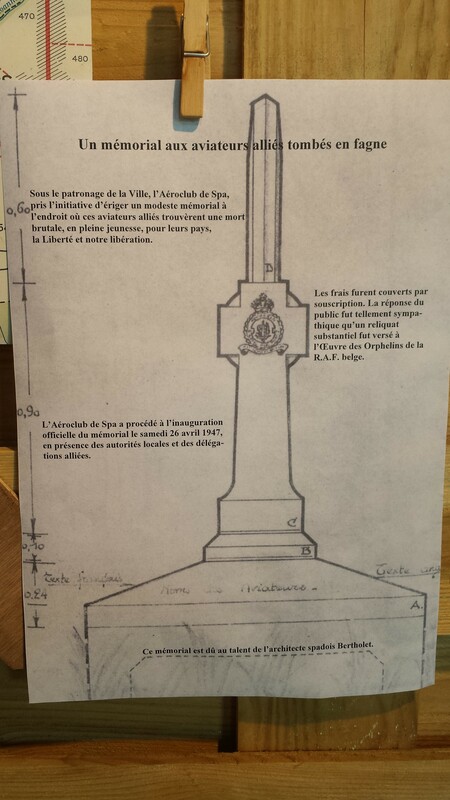 Details from the plans for the monument.